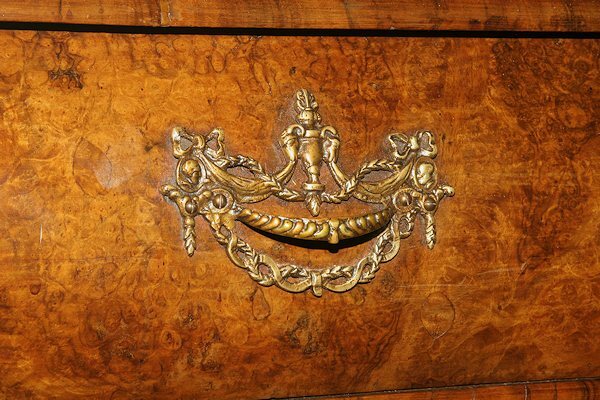 Mid 18th century period Dutch bombe vitrine.Mid 18th century period Dutch bombe vitrine. 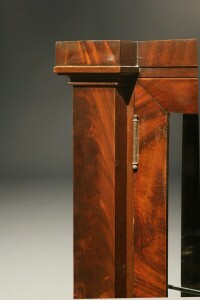 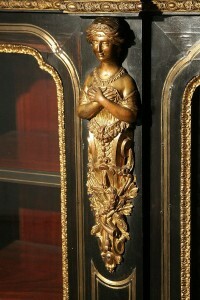 Mid 18th century period Dutch bombe vitrine. 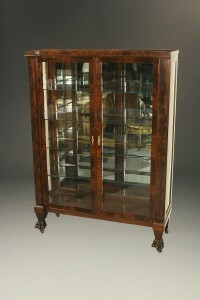 Exceptional mid 18th century Dutch bombe vitrine with 24 panes of glass in burr walnut, circa 1750-60. 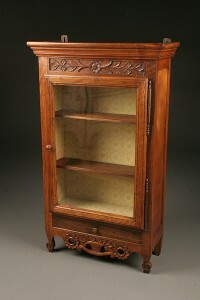 Empire Revival china display vitrine. 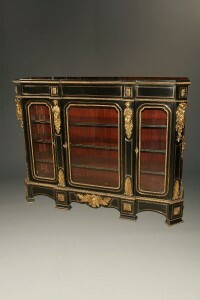 English marble top vitrine, Regency style made in ebonized wood with bronze mounts. 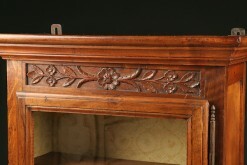 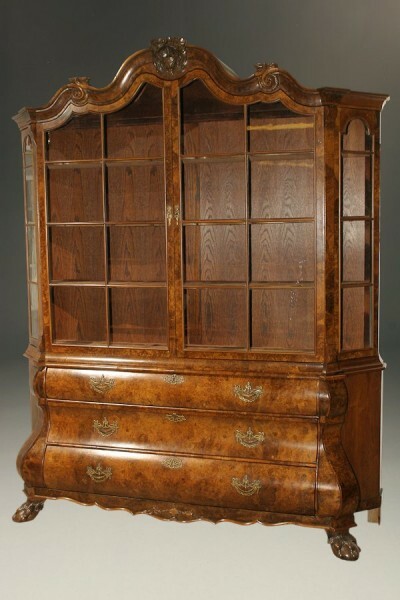 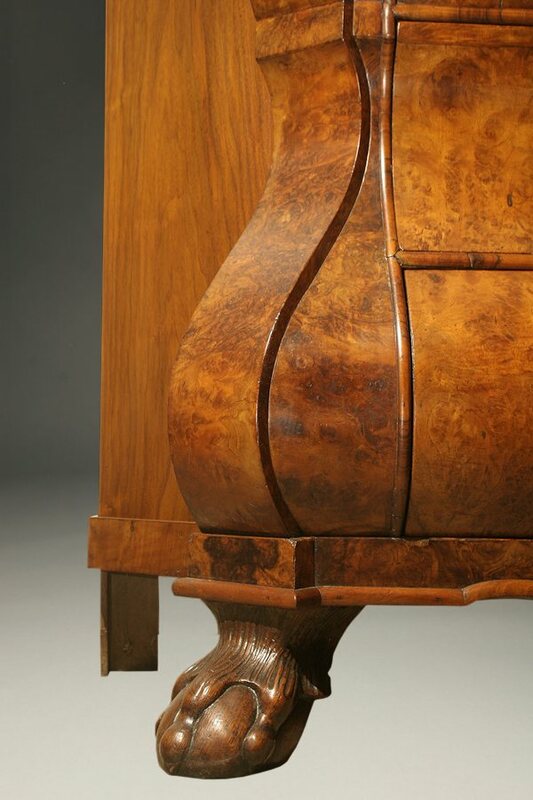 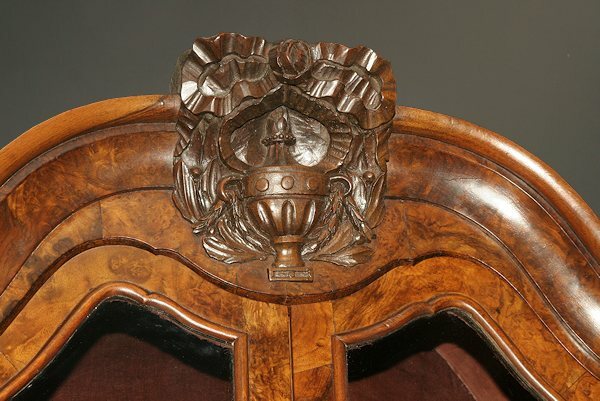 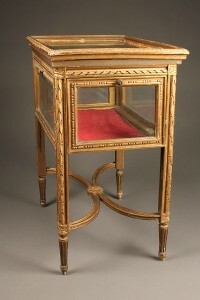 Country French vitrine Louis XV style. 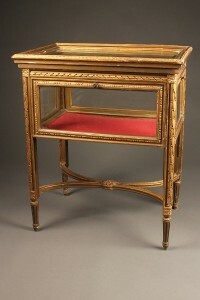 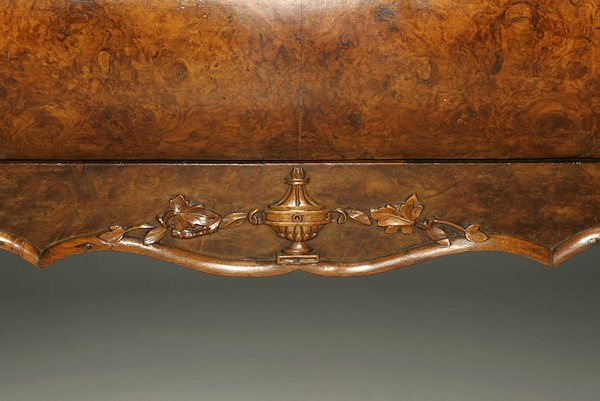 Antique Louis XVI gilded display table.